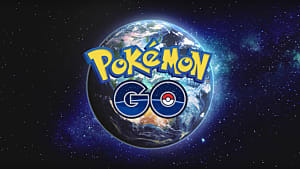 So there is this mobile gaming craze that millions of people are playing at the moment called Pokémon GO. Maybe you've heard of it? Chances are, by now, that you have. People are wandering around trying to catch invisible critters with the aim of catching them all. 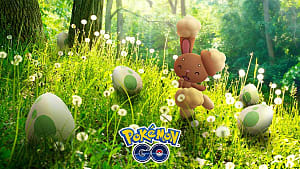 And apart from having to find Pokémon to capture and level up, players also have to find things called Pokéstops. 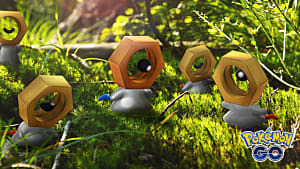 These points on the map are actual locations and allow players to restock their inventory, and also offer the possibility of finding new eggs. 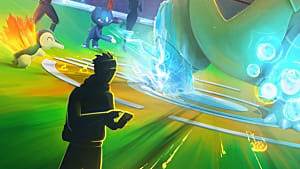 The most common item given by these stops are Pokéballs, which every player needs to capture new Pokémon. 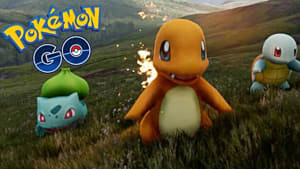 Lures are another item given by Pokéstops, and these can be put on the stops to lure Pokémon to the location. Perfect if you have time and can sit near the stop to farm. 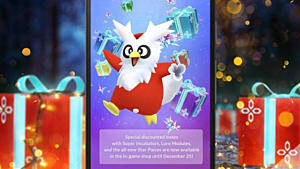 There are so many articles in the news about establishments petitioning to have their Pokéstop status removed and others preventing players from using them. 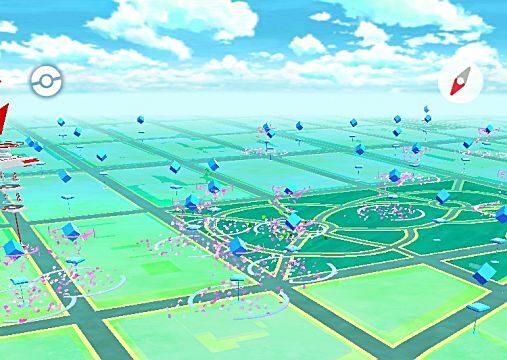 But there are Pokéstops across the World that have started embracing their designated status. 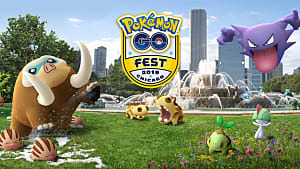 People are have even started websites dedicated to collecting information on Pokéstop locations -- so it is nice when businesses actively support players, especially if they know that it will benefit them in the long run. 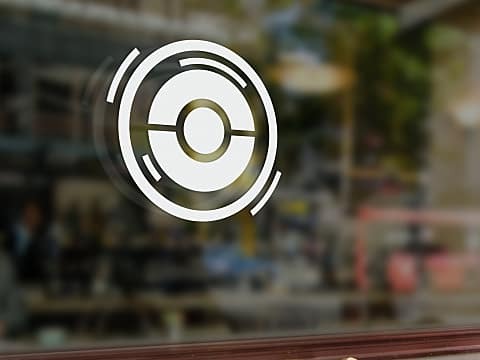 Many cafés and restaurants have been assigned as Pokéstops, and what better way of attracting customers than by promoting that fact and giving players discounts or having specific times of the day when a lure is active? 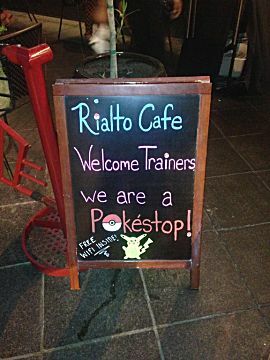 Lots of places are taking advantage of this -- such as the Rialto Café in Denver, which has a lure activated nearly 24/7 so you can enjoy a snack or a drink, meet up with other players, and catch Pokémon at the same time. Other businesses, such as The Game Empire in San Diego, give out edible rewards to people who deploy lures on their Pokéstop. In return for handing out free candy and soda they are attracting people, namely gamers, into their store. Such a smart way to draw in customers! Some Pokéstop locations may surprise you. Many churches have been flagged as locations, and not everyone is happy about it. Way back when the Pokémon phenomenon first took off, there was a lot of opposition from church organizations. 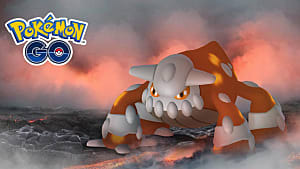 Some saw it as an extension of the Occult, given that some pocket monsters psychic abilities like Hypno and Abra, or resemble evil spirits like Gengar and Gastly, while others likened the elemental side of the game to Paganism. "Welcome to St. Mark's Church in Björkhagen for a Pokéstop in Pokémon Go, a game that currently gets many people to get around a little more. Come by and pick up some Pokéballs, combine it with our café on Wednesday and Thursday 14pm - 16pm so you can also get a cup of coffee!" 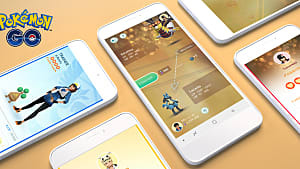 From a gamer and Pokémon fan point of view, it is welcoming to find out that there are so many different places out there that are also embracing the emerging Pokémon GO culture. Rather than just putting players down, they are using their own means to further help players have fun -- and earn a little something for themselves in the process. These examples are, of course, a tiny selection of businesses who have responded this way -- but there are also many more of them out there. Do you have any business related Pokéstops near you? What are they offering players? We would love to hear from you and maybe other players in your area would be interested in finding some out as well.